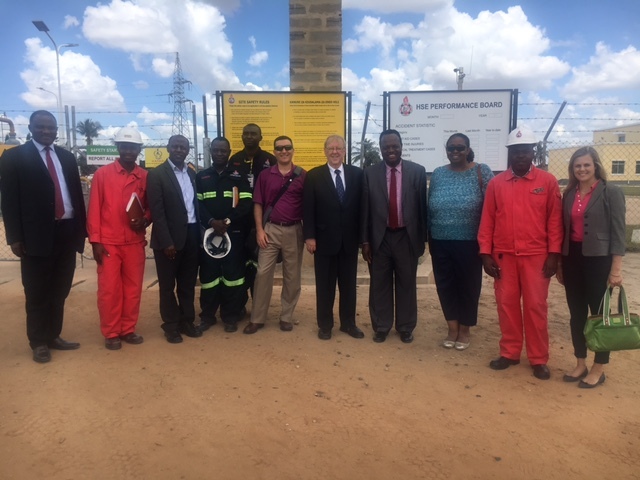 NARUC, USAID and Power Africa Delegation with Tanzanian Regulators at Kinyerezi Gas Power Plant during recent visit. PSC Employee Udeozo Ogbue, Chief, Office of Compliance and Enforcement is the fourth person from the right. Udeozo Ogbue, Chief of the Office of Compliance and Enforcement recently traveled to Tanzania a part of the USAID and the National Association of Regulatry Utility Commissioners (NARUC) delegation. The delegation provided peer review and technical support to the Energy and Water Utilities Regulatory Authority (EWURA). The delegation worked in partnership with Power Africa, launched by President Barack Obama to bring together technical and legal experts, the private sector, and governments from around the world to increase the number of people with access to power. The Kinyerezi I 150 MW electric power plant and natural gas processing plant complex in Tanzania is a major initiative of Power Africa. Recent natural gas discoveries have quadrupled Tanzania’s known resources, and made gas-fired power generation facilities a cheaper and cleaner option than current reliance on diesel. The Kinyerezi complex is expected to move Tanzania toward a cleaner and more reliable electricity system and create additional opportunities for industry. Through USAID and NARUC, Power Africa provided critical technical support to EWURA by establishing an interim gas tariff for the Tanzanian Electric Supply Company (TANESCO), setting the rates that the Tanzania Petroleum Development Company (TPDC) can charge for processing and transporting natural gas through the pipeline. USAID also conducted technical workshops on business practices in the natural gas industry. Udeozo Ogbue was proud to be a part of the team of experts to provide assistance and support. "As part of NARUC's Team of experts, I met with EWURA staff to present further training and in-class exercises on pipeline safety inspections, compliance and enforcement, pipe design and load calculations, damage prevention, and regulatory discretion. During our tour of the Kinyerezi plant complex with officials from EWURA, TANESCO and TPDC, we reviewed and offered feedback to Tanzanian and Chinese engineering and technical personnel on control room management, SCADA, perimeter security, and fire protection. Our NARUC Team continued to help EWURA to improve its oversight of the power and gas sectors through a three-day line-by-line review and live feedback on EWURA’s draft Natural Gas Transportation Rule and Natural Gas Distribution Rule. The rules were drafted based on input from a five-day partnership exchange and training we provided to EWURA in February 2016. 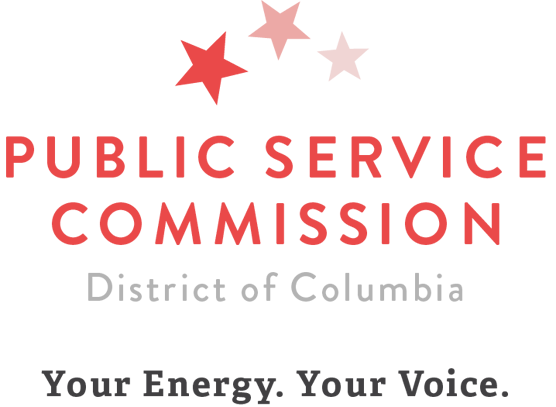 EWURA's leadership and staff will now further discuss the changes and revisions suggested by our NARUC Team before submitting the draft rules to the EWURA Board for approval."